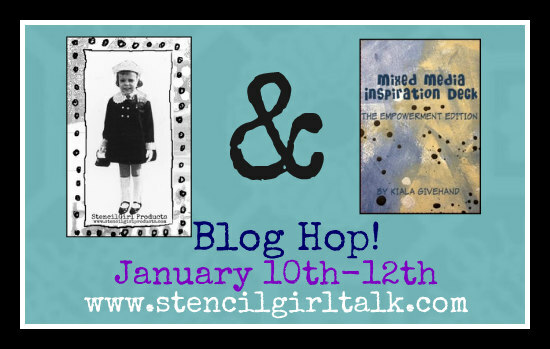 StencilGirl Talk: StencilGirl Products & Mixed Media Inspiration Deck Blog Hop - Day 1! 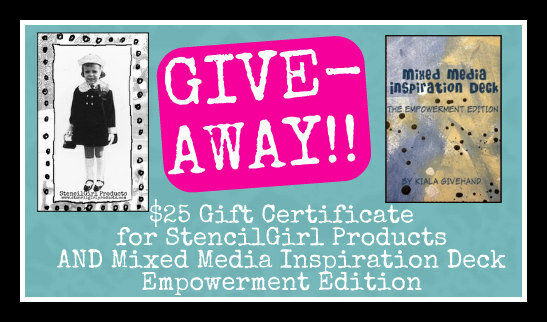 StencilGirl Products & Mixed Media Inspiration Deck Blog Hop - Day 1! And Mary Beth Shaw is hopping along with us!!! Sit back and enjoy a fabulous range of projects! 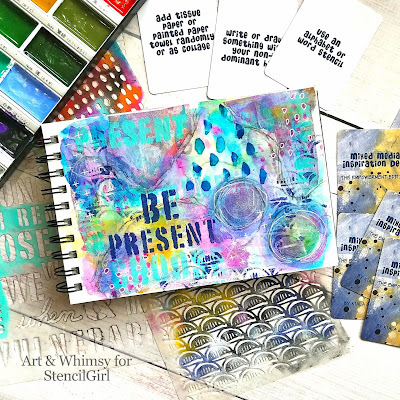 See more of Mary Beth Shaw's stunning art journal spread here! 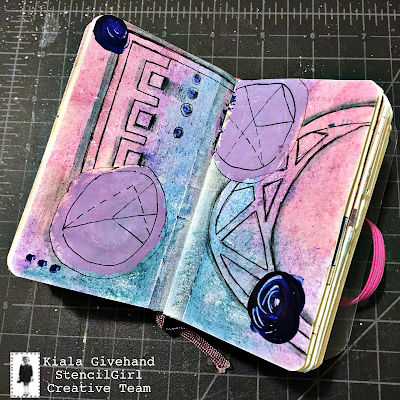 Kiala created the Mixed Media Inspiration Deck! See what she does with it on her blog post here! We love Tina's combination of stenciling and lettering! See Tina's tutorial on her blog post here! 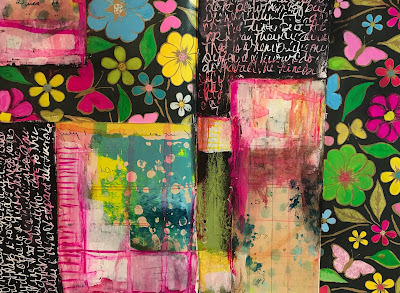 Check out the fabulous layers in Belen's art journal page! See her creative process on her blog here! Lovely, colorful pages! j a n e g 1964 (at) yahoo dot comes. Letters and numbers all go together, thanks so much! I love this idea! Such amazing inspiration!! So excited to view this! Although I have dabbled in stencils before I am a relative newbie! Looking forward to taking my stencil art to the next level!! Would love to win! Always inspired by Mary Beth. LOVE the inspiration deck! Go,Belen, go! Awesome opportunity - not only to see some great journal pages/processes PLUS a chance to win a prize!! THANK YOU ALL!! Love all the new stencils! I also love Kiala's Inspiration decks! Mine are well used! Very Cool! Love the new stencils and the Inspiration deck. Can't get enough of your awesome stencils. Have been a stencil of the month subscriber for quite some time. How awesome and colorful! Thank you for sharing all this inspiration. Now to get stenciling! I love the way that everyone used the deck. I need to think about getting a deck for days when I want to create but don't know where to start! What a great start to this wonderful hop. Love the projects. These cards look like they would be a great addition to someone's art supplies. Thanks for a chance to win. AMAZING and INSPIRING projects and blog hop. f you want to make money online, you do not have to purchase the Earn Money with viral media program to do it.